A culmination of year’s worth of effort, groundwork and master-planning that started way back in 2008 with the seemingly risky Iron Man (wow I am getting old! 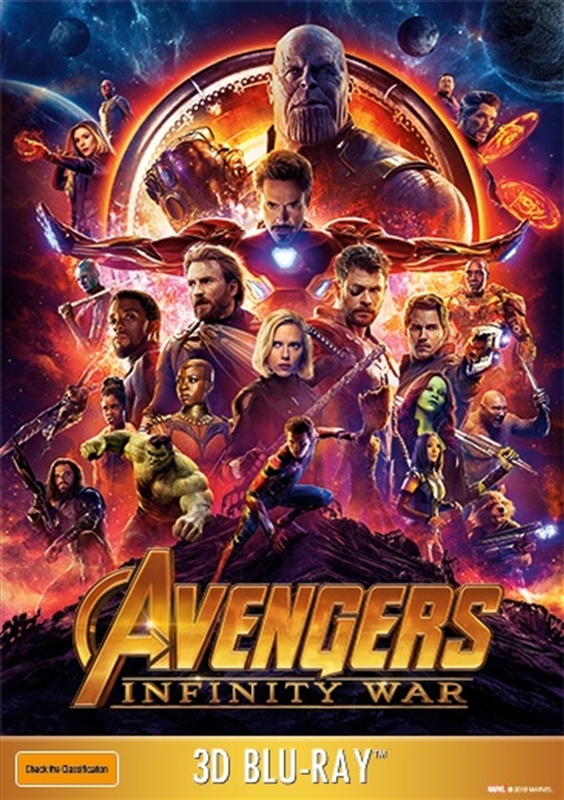 ), Infinity War has a world of expectations riding on the back of its hero-filled shoulders but as Marvel have proved time and time again, they’re masters of meeting expectations and as is the case with this epic, messing with expectations as the Russo Brothers deliver what will be the year’s biggest and most talked about blockbuster. Kicking things off with a memorable opening act that makes it clear we’re in for a relatively unpredictable affair, Infinity War is a long and eventful action packed ride, the type of which must make the DC film hierarchy cry on top of their mountians of money, made from the mainly mediocre film offerings they have been toiling away on in the wake of Marvel and Disney’s seemingly endless winning streak. Infinity War is filled with dazzling visuals, laugh out loud humor and a fair share of heart and soul, all of which feels earnt and appropriate in light of the decades worth of happenings that have come before it. It may not have the novelty factor and unexpected awesomeness that ran through the veins of the very first Avengers outing but after so much time and commitment, Marvel and Disney and in turn us the audienece have invested into this saga, Infinity War feels like something more than your average summer blockbuster experience that’s event heavy and many various narrative strands are near perfectly juggled by the Russo Brothers. With so many key figures and important character arcs to deal with, its to be expected that certain players get less to do than others and some aspects of past occurances don’t get much airtime but overall, fans of all shapes and sizes will find much to enjoy from the films beginning through to the films final frame as each hero and villain get their time to shine, with only this year’s huge success Black Panther feeling like he may as well have stayed at home as the world fights for its survival. Fighting against purple baddie Thanos, the world and the universe have found a worthy adversary and pre-release doubts about Thanos feeling and looking menacing enough (doubts of which I shared) are quickly dispelled here with Josh Brolin doing a great job under the guise of his CGI performance, Thanos really is a piece of work and feels likely to be the Marvel universes greatest of big bads. Without entering into spoiler territory, aspects of Thanos’s journey, his inward torments and motivations and his interactions are all handled extremely well and come the films climax, its clear Marvel have created a character and end game that will be both controversial and much-talked about for months and years to come. There’s a lot that can be said about Infinity War but most importantly this is a high-class blockbuster experience that feels like a worthy final piece of the puzzle to this particular phase of the Marvel cinematic universe.